These boxed puzzles are great for on the road amusement or just anytime a small activity is needed. 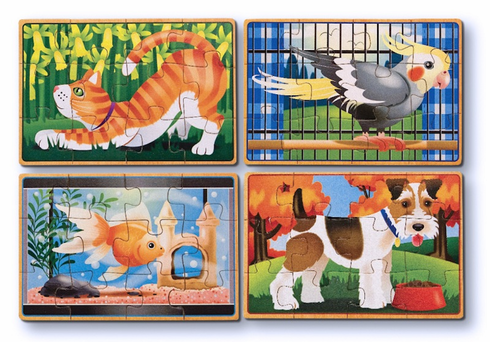 Each set features four themed 12 piece jigsaw puzzles. The puzzle pieces are coded on the back for easy sorting and storage. Ages 3+ 8" x 6" x 2.5"